Wrap or blanket, it depends on what you want to use it for. To be honest, this kind of garment can also be a functional blanket for babies. The size can be changed according to the need, colors are available but the best are in a rainbow pallet as in the picture. The instructions are clear and helpful. Link to the pattern is below. 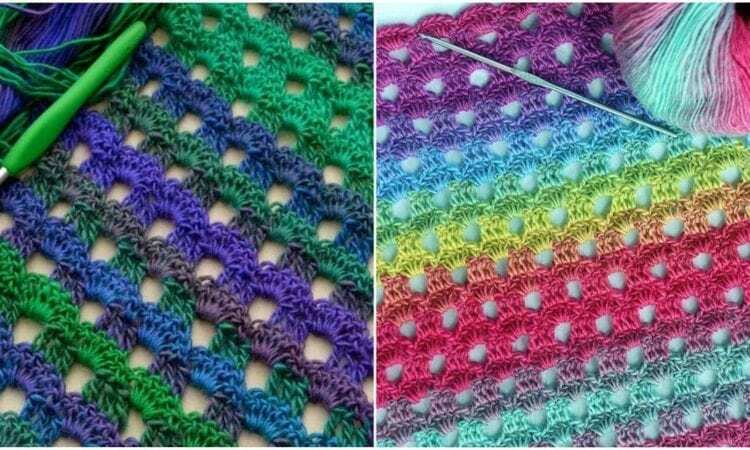 Dew Drop Crochet Wrap or Blanket – the Free pattern is here. Join to get more inspirations ->> our Facebook group. Next Post:How to Crochet Sandals using Flip Flop Soles?